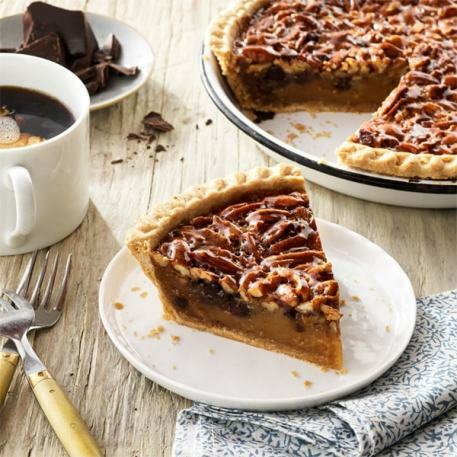 We didn't change our exceptional Old-Fashion Pecan Pie, we only made it better with the addition of one cup of pure milk chocolate chunks. 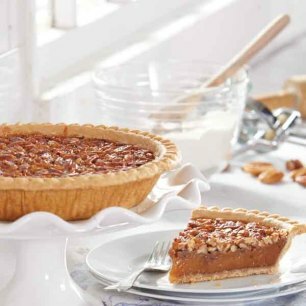 Warmed in the oven for 10 minutes and served with a scoop of vanilla ice cream, Priester's Chocolate Pecan Pie is a dessert you will be proud to serve. Chocolate Items ship best from the South from Oct 1- April 11th. This is now my favorite pie!! Owner Response: Thank you for your review! We are so glad you enjoyed it! "BEST Pie in the World!" I have been stopping at Priesters for years and several years ago, I started sending these at Christmas to family and friends. 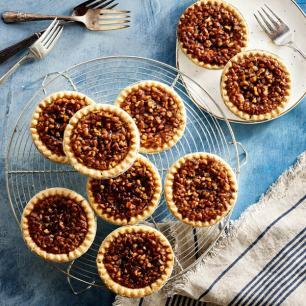 My father-in-law and father both have told me that the Chocolate Pecan Pie is the best pie they've ever eaten and all of us agree! You simply cannot miss having the most appreciated gift. My sister-in-law loves their sugar free pies on her dietary restrictions. I send these to Oklahoma, California, Arizona, Virginia and all over Alabama and they have always come through beautifully! Dec 23, 2015 | By Joyce H.
I have giving the chocolate pecan pies two years in a row, and my recipient couldn't have been more thrilled!